This contemporary loveseat celebrates style and comfort in a modern design. This finely upholstered piece features a quality crafted wood and metal frame, metal hardware, and plush foam and fiber cushioning. The low profile legs gives the loveseat a solid stability, and the durable metal hardware will keep the reclining mechanism working at its best for years. The tall, slightly angled backrest is padded with deluxe cushioning making it a treat to lean back and relax in style. 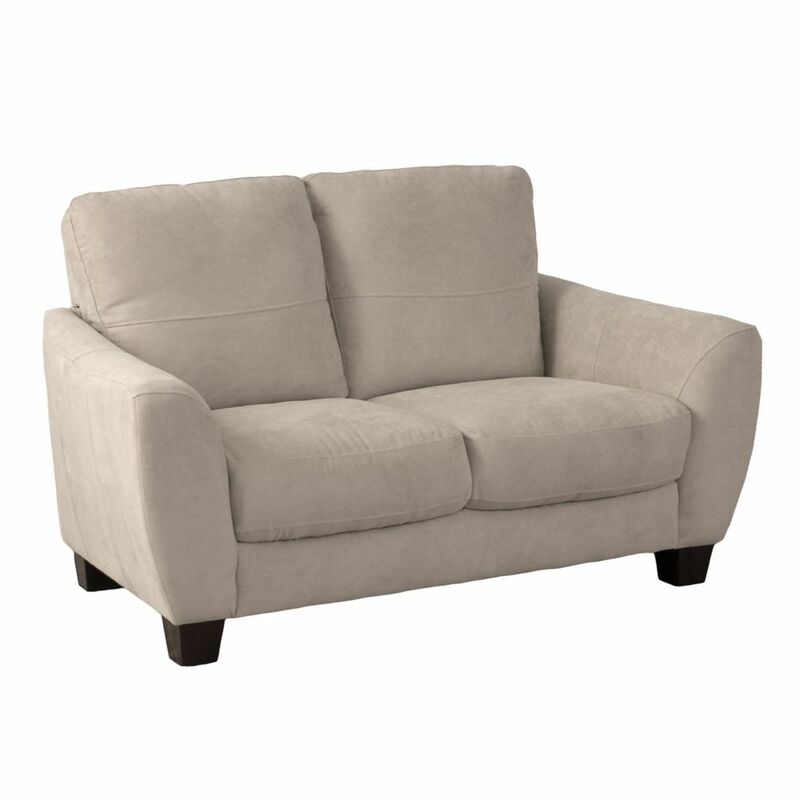 Jazz Beige Chenille Fabric Loveseat Create a welcoming home with this sculptural loveseat, featuring fluid lines and a soft touch chenille fabric, exuding a sense of warmth that invites you to sit and relax. The generously padded cushions and armrests create a cozy look, making this loveseat ideal for those who value design and comfort. This visually stunning loveseat is undeniably comfortable, making it easy to create an inspiring home.